After spending the earlier part of the day in Avila and Cayucos, I wasn’t ready for the more crowded scene at Pismo Beach. 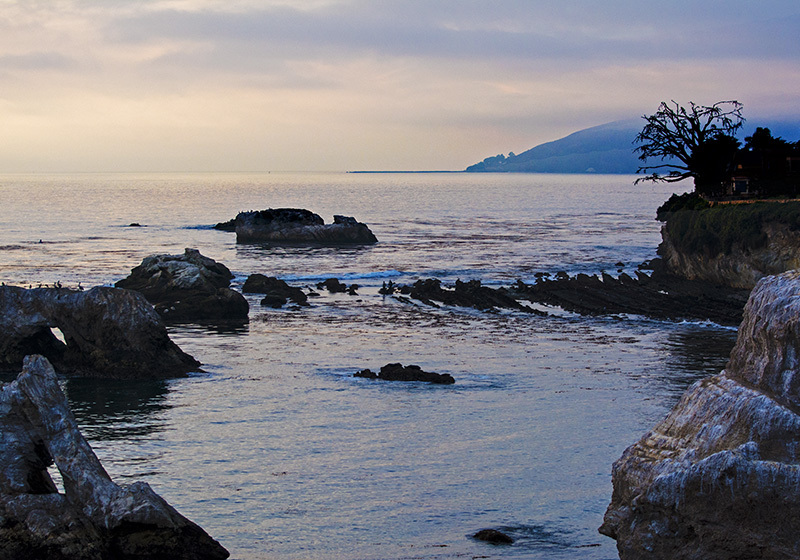 Even though it has a lesser population than Avila Beach, it is better known and has a higher volume of visitors. 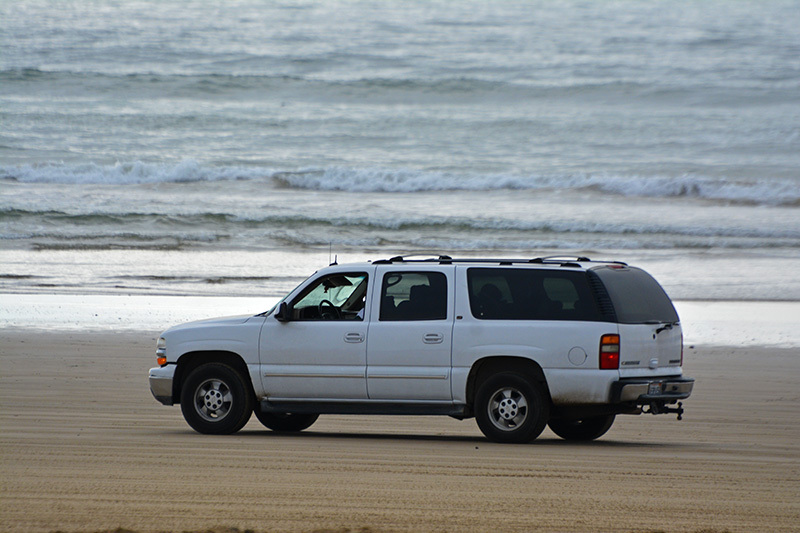 Part of that reason is that Pismo Beach has a unique attraction… you can drive on the beach!! We headed to the pier first as this seemed to be where most of the tourist attractions, shops, restaurants, and TMC congregate. 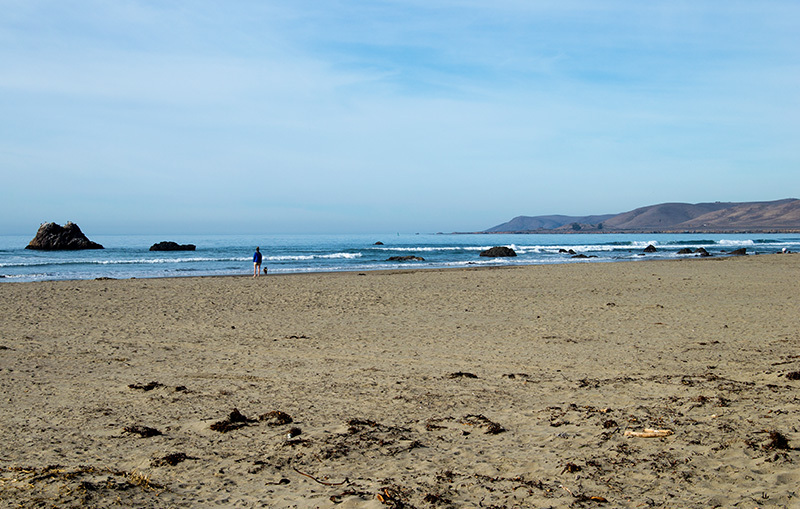 The beach was just as terrific as Cayucos or Avila and the pier although on the smallish side, added to the scenic atmosphere. 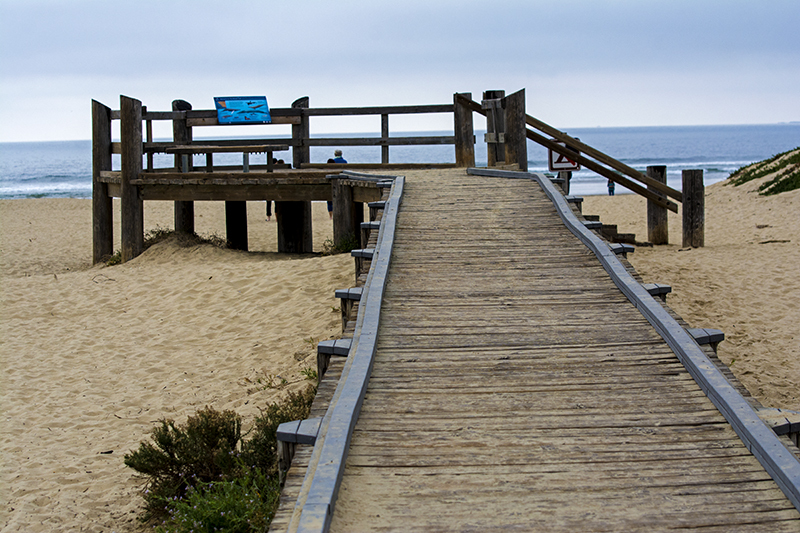 I wanted to walk on the pier but it was closed just like the others. So I did my obligatory walk on the beach for sea glass hunting and yet again only found a few less than prime pieces. We had heard about a butterfly grove at the state park, so we decided to drive past town to see it for ourselves. 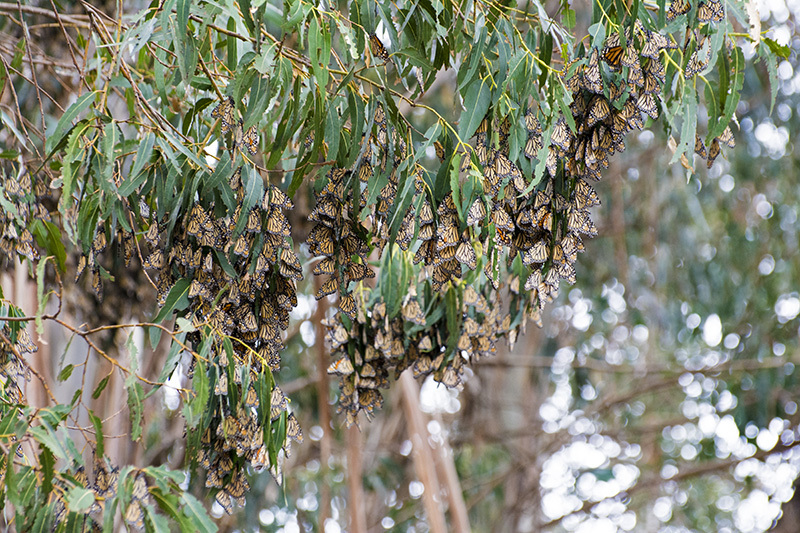 Each year thousands of orange monarch butterflies flock to Pismo Beach to find shelter from the cold northern winters. We were lucky that we were in the middle of the migration period that runs from October to February and were able to see this phenomenon. Walking into the grove, you are not sure where to go or where they are amongst all of the tall eucalyptus trees. It doesn’t take long to figure it out though as you soon run into a gathering of people all looking up into the trees. The grove provides a few telescopes that are set up for anyone to use plus they have informative talks scheduled at designated times and guides to help you. 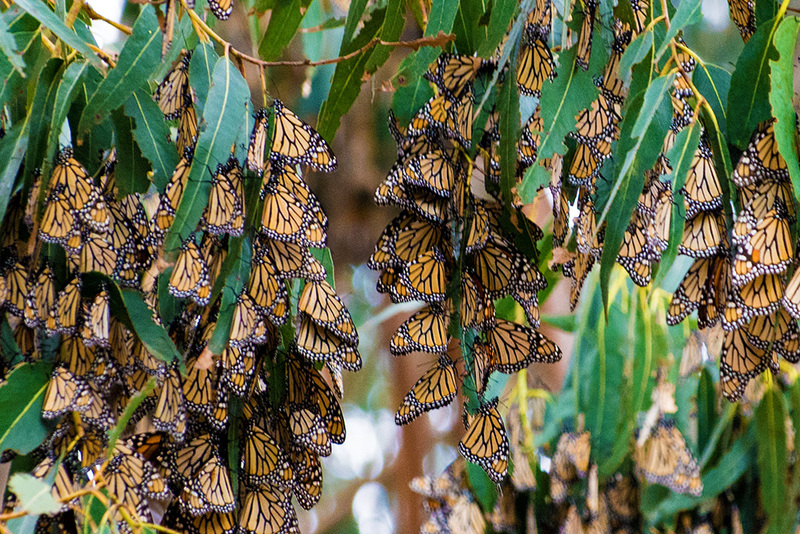 At the time we visited, they reported that there were over 14,000 monarchs present. I wonder who did the counting. 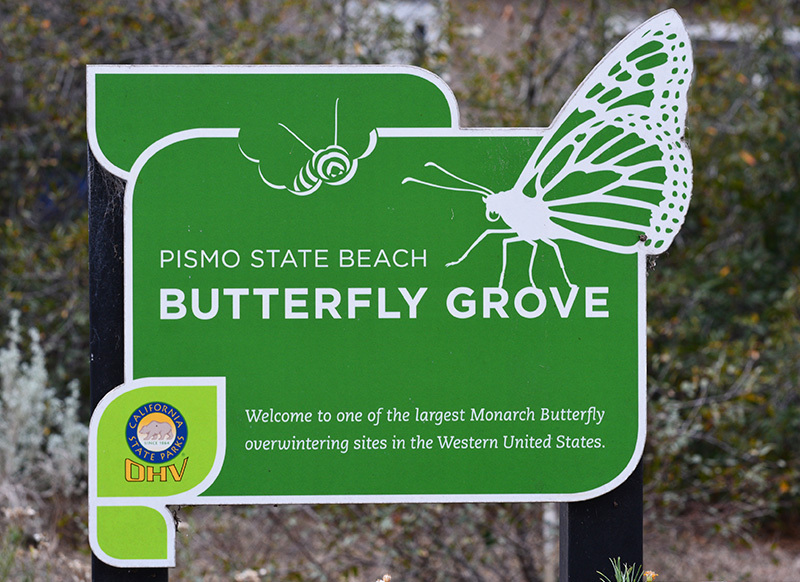 Anyway, if you are ever in town during this time frame, be sure and check out the Pismo Beach Monarch Butterfly Grove. My belly was now rumbling so it was time to find a place to eat. Many years ago we stopped very briefly in Pismo and had clam chowder that I am told was the best ever. We set out to find this place again and soon located it on a street by the pier. There were additional eating establishments on the street, however, this one seemed to be the most popular, evidenced by the line of people wrapped around the building. Evidently others also felt it was the best chowder ever. Since I don’t eat sea food, I opted out of waiting in line, instead, I had a very uneventful sandwich at the local Subway. After filling our tummies, we headed north of town to investigate further. 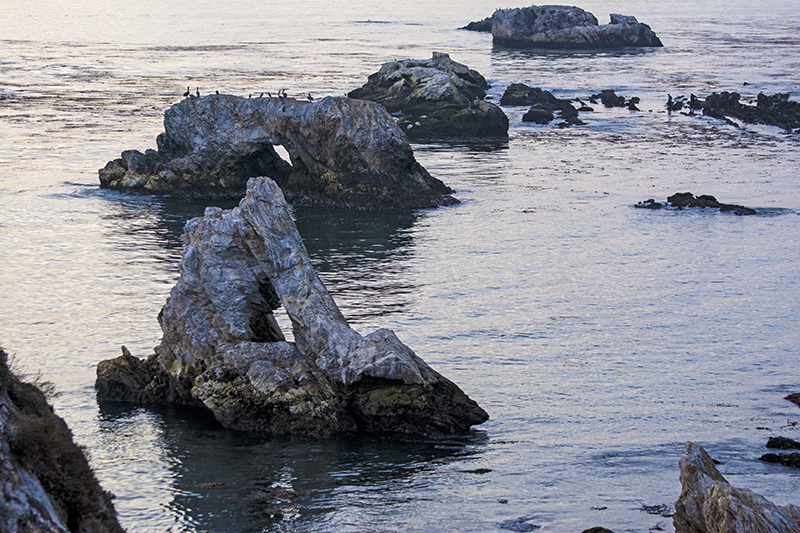 We came across a beautiful park situated on a bluff with an expansive view of interesting rock formations and arches. It was a beautiful setting and there was even a cool sea cave that I wondered if you were allowed to enter and explore on a kayak or SUP. 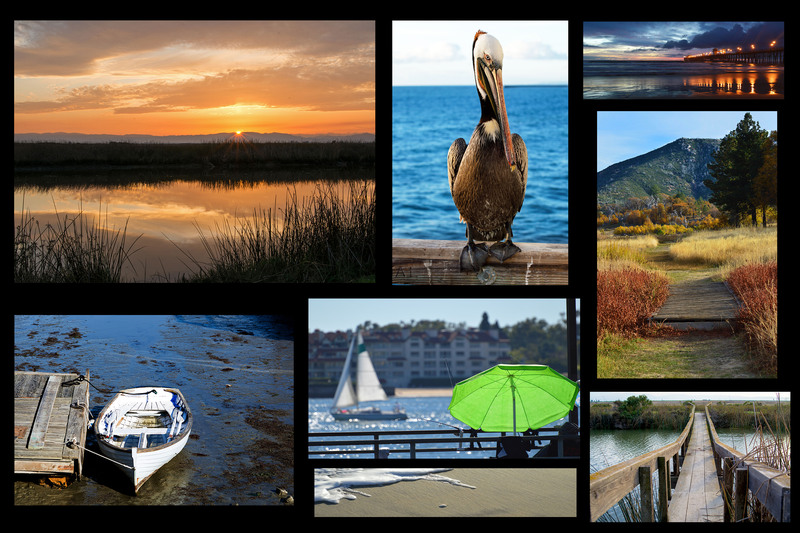 There is a lot to do in Pismo whether you are an adrenaline junkie, ocean enthusiast, angler, or anything in between. 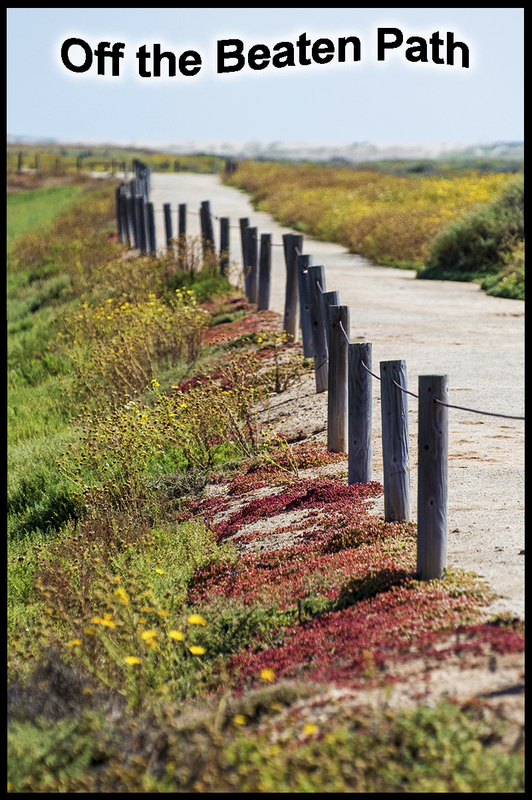 Not really having any rhyme or reason on where we were going, we headed south to Grover Beach. As with Pismo Beach, Grover is all about driving on the beach. We saw at least two trucks pulling trailers piled high with ATV’s that were available for rental. We found an entrance, although, you just can’t take off onto the sand. For one, you have to pay, for two, you should know the local rules and regulations, and finally, you should know where you can go as to not get caught in the sand. I didn’t see how much it costs to get onto the beach, but it must not be too bad as there were at least a hundred vehicles parked about a half mile from where we stood. 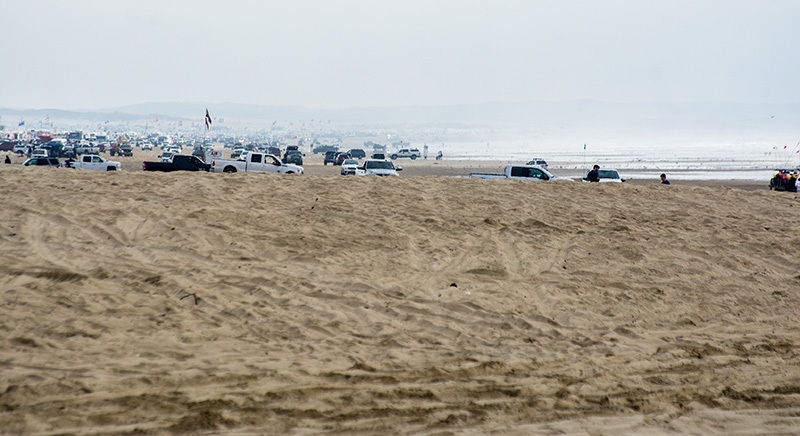 I saw a few trucks and SUV’s drive by on the harder part of the sand and a few were parked right next to where they were hanging out enjoying the beach. You can literally drive up, set out your chairs or towels and have your vehicle right there! Pretty cool. You can surf, fish, ride ATV’s, and any activity revolving around the ocean. In a designated area, motorcycles, ATV’s, dune buggies are allowed to freely roam the dunes and on the beach side you can even horseback ride. It is suggested that you use a four wheeled vehicle in case you get stuck in the thicker parts of the sand. We decided not to drive on the beach this time as it would have been only for a few moments anyway as the day was coming to an end. 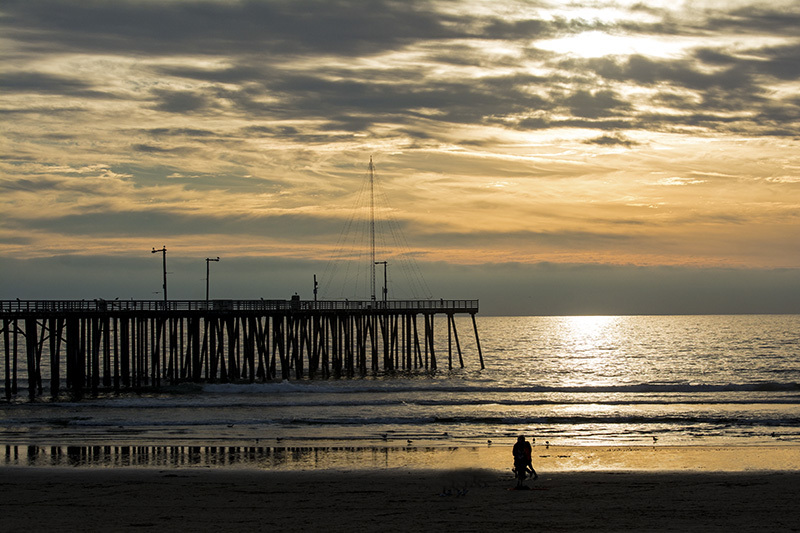 On the way back to our hotel we stopped briefly to watch the now setting sun blast hues of orange behind the empty Pismo Pier. 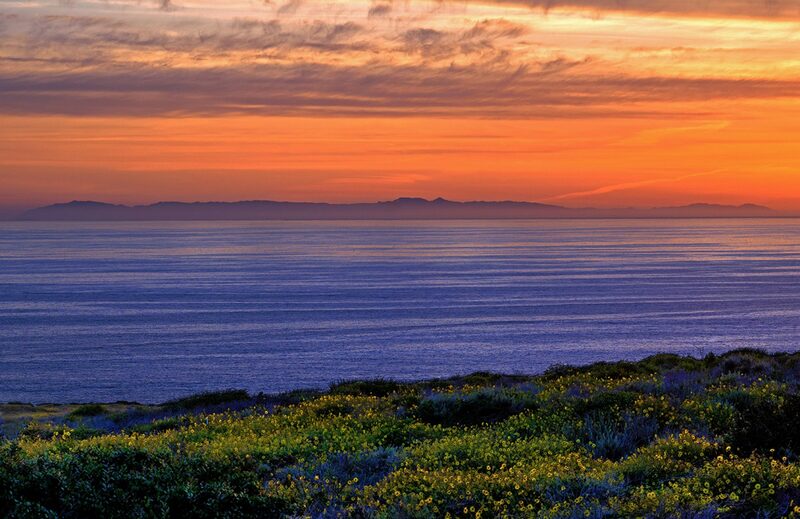 Tomorrow we are heading for our stay in Santa Barbara for part three.